Wood mulch is hugely beneficial to your garden. 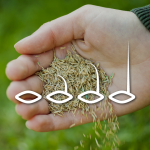 Over time, it adds organic matter to your soil that plants desperately need. However, it can be expensive to purchase. 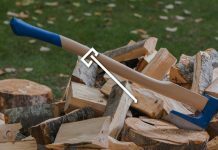 Besides, if you have a lot of branches and twigs laying around, it can seem like such a waste to spend hard-earned money on a bag of wood chips or mulch. There’s another, less expensive option. These machines are efficient in the reduction of small chunks of wood. Don’t believe me? Check out these wood chipper reviews. This wood chipper reviews and buying guide will help you learn everything you need about selecting, purchasing, and operating the right wood chipper for you. The Sun Joe wood chipper is a speedy electric machine. Sun Joe manufactures products that are inexpensive, but high quality—and this wood chipper fits right into their amazing product line. 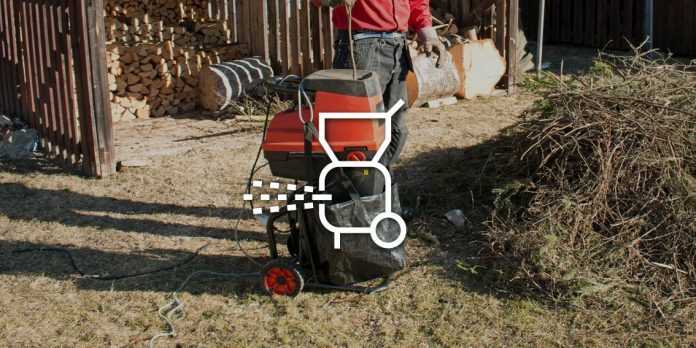 With this particular unit, you’ll be done cleaning up your yard from sticks and leaves in no time, since the motor delivers up to 4,300 revolutions per minute. This is the best chipper shredder for compositing since it can handle a range of organic materials. 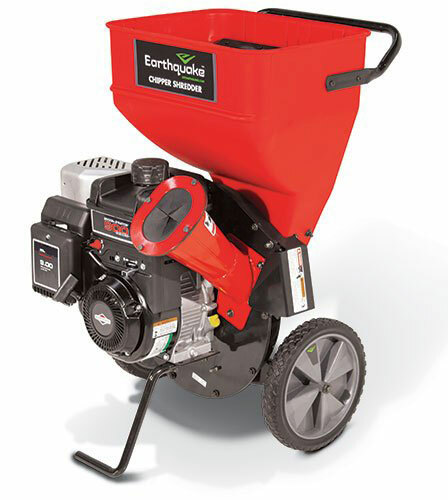 If you’re looking for an eco-friendly way to get rid of yard debris and make mulch, you can’t go wrong with the eco-shredder. 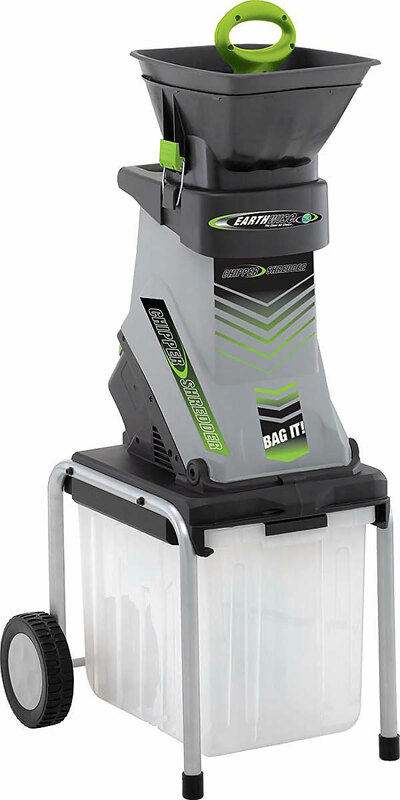 As many chipper shredder reviews point out, there’s a lot to like about this machine, including that it comes with a 14 amp motor and can break down branches up to 1 3/8 inches in diameter. It features a three-way shredding process, which thoroughly breaks down debris so you get the most mulch possible. This is a heavy-duty wood chipper. 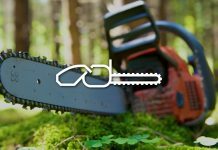 It can cut branches up to 3 inches in diameter. Although this is a gas wood chipper, it’s not your typical gas product. This product is easy to use, usually starting on the first pull. It’s also incredibly user-friendly, with easy assembly and a very straightforward mulching system. Simply turn it on, place the limb in the chute, and the machine will do the rest. Even better, the wood chipper generates uniform and finely cut chips, so there’s no need to worry about breaking down the mulch again. You won’t regret purchasing this wood shredder. It a lightweight small wood chipper, which can handle limbs up to 1 3/8 inches in diameter. It also comes with an extra set of blades, and easy adjustment to fit your needs. 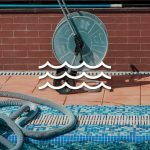 Worried that it might clog up? 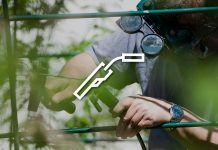 Simply remove the plastic roller near the discharge chute and you'll be able to break down as many branches as you need in little time, and with minimal effort. What’s great about this wood chipper is that it is designed to handle large bundles of leaves as well as limbs 2 ½ inches in size. In fact, you don’t have to worry about this machine missing leaves. 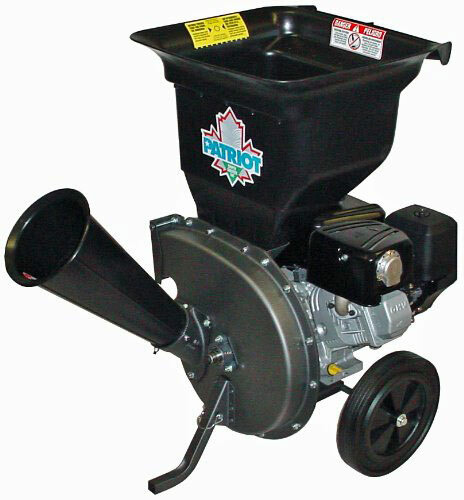 Many chipper shredder reviews claim that you can slide leaves down by the armful and still get perfect mulch every time. Additionally, you don’t have to worry about maintenance. Patriot Products are designed with homeowners in mind—so there’s no complex assembly or upkeep required. Considering the 10 hp Briggs engine, the range of features, and fuel efficiency, this product is priced at a steal. The great thing about this particular machine is that it produced consistently small chips without you having to fuss with screens. This machine is ultra-quite, thanks to its noiseless engine and high-quality muffler. You’ll find that most of the time this chipper starts on the first pull. The great thing about this unit is that it’s incredibly durable. The reason why the earthquake chipper shredder is such a powerful product is thanks to the triangular hammer technology incorporated throughout the design, which gives you twice the amount of force when chipping wood. 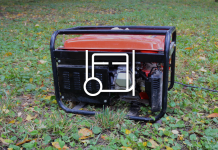 Additionally, you can’t go wrong with this machine because it’s made with a high-quality Briggs and Stratton Engine, so the incredible power is backed by a durable and long-lasting engine. Keep in mind that when it comes to having a heavy-duty chipper like this, it is heavier than electric chippers, or those designed for light projects. 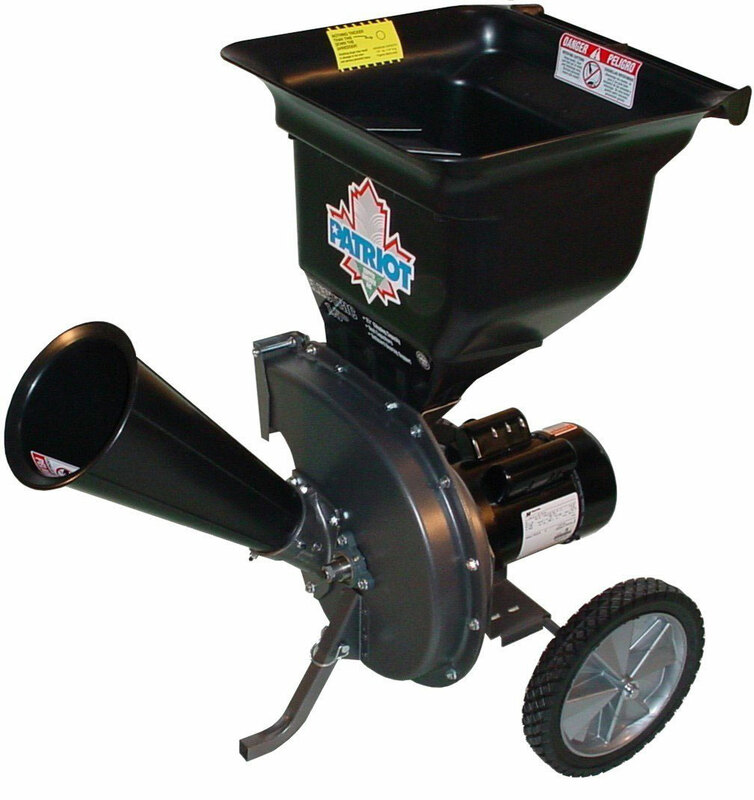 However, according to wood chipper reviews, this product is easy to assemble and very user-friendly. Not only does the Tazz Chipper look unique, but it also has a lot more to offer than other units. Firstly, it comes with an optional vacuum kit that generates 20% more vacuum power than other machines, which makes placing leaves in the shredder so much easier (and safer). Additionally, the distinctive shape of this wood shredder makes it easy to store—without taking up too much space. Despite being heavier, it’s easily portable thanks to a pair of 11 inches wheels designed to never go flat no matter what you put it through. It also has the ability to handle branches 1 ¾ an inch in diameter, so it’s perfect for use around medium sized, urban yards. This wood chipper comes with a leaf chute and a large collection bin—making producing, collecting, and storing your mulch so much easier. Although made with some plastic elements on the interior, most of the cutting mechanisms are made from steel—meaning that you get consistent mulch every time. 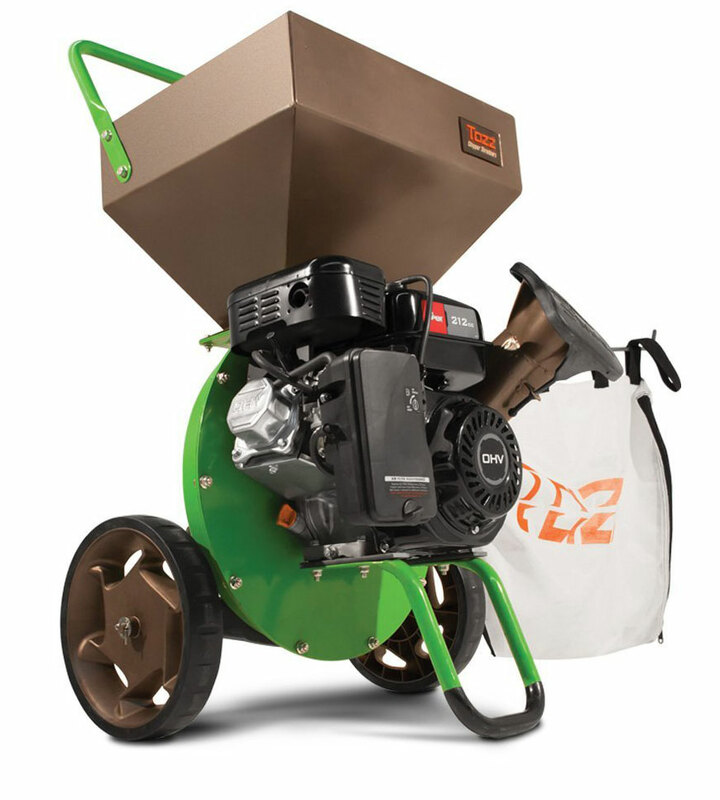 As some wood chipper reviews point out, the plastic design is also perfect for avoiding the build-up of rust that many chippers are susceptible to over time. There’s a lot to like about the Power Smart Chipper. 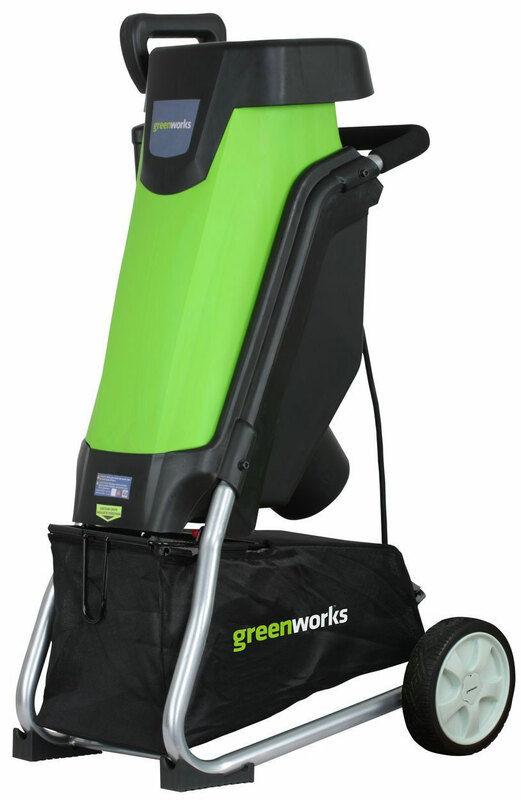 This is an electric chipper designed for small jobs like leaves and twigs. 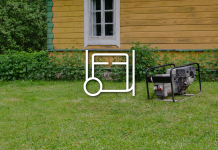 It’s also incredibly easy to move around according to electric chipper shredder reviews, weighing just over 30 pounds and featuring two 6-inch wheels. The safety on this machine is also very useful if you find yourself doing work around other family members, pets, or children since the motor won’t function is the safety hopper is open. 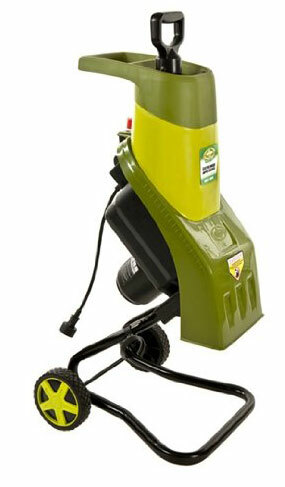 Additionally, despite being a small wood chipper, it can tackle branches up to 1 5/8 an inch and is incredibly quiet. A wood chipper is designed to break down bigger pieces of wood into smaller chips (hence the name). These chips can be used for mulch; additionally, the process makes disposing of large branches easier. 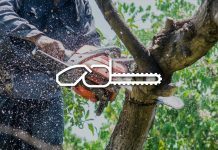 You might be especially familiar with the more industrial wood chippers used to breakdown Christmas trees after the holiday season has come to a close. The general idea of a wood chipper is fairly simple. The engine inside the machine (either powered by electricity or gas) propels a set of knives that reduce the wood into chips. Depending on the size of the machine, the wood is either dragged towards the blades via a pulley, conveyor belt, or roller bars. In most chippers, you'll find two chutes (although you might find more on some machines). One chute is used for branches, while the other is used to turn wood and other materials (like leaves) into mulch, usually using blades and hammers. What's the Difference Between a Chipper, Shredder, and Mulcher? Chippers, shredders, and mulchers all have similar purposes, but they work in slightly different ways and features some key design differences. Chippers are used to break down larger amounts of wood. Inside, they feature a spinning wheel equipped with blades that turn, which cuts the wood into smaller chunks. At the other end, the machine a chute spits out the chips. On the other hand, a wood shredder uses blades that are less sharp. 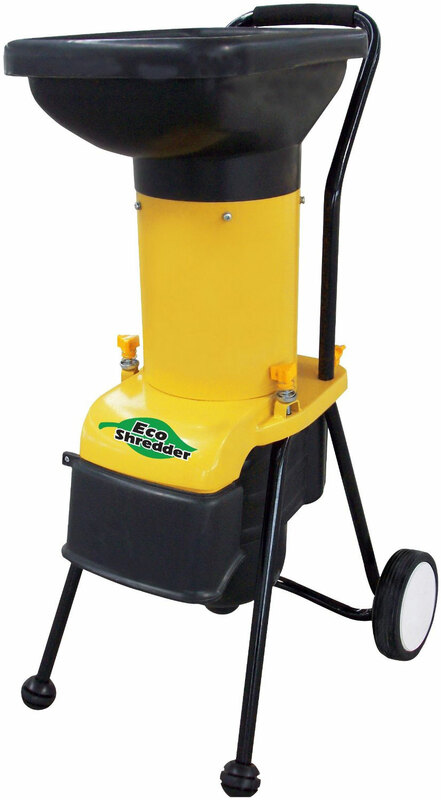 Additionally, wood shredders are less powerful than chippers, but they are also smaller as well, making them perfect for compact storage. Mulchers are designed for leaves and other organic materials. They come in all forms, from upright products to leaf vacuum mulchers. However, they typically aren’t designed to handle wood. If you’re looking for a simple way to make compost, a mulcher is the most definitely the way to go. 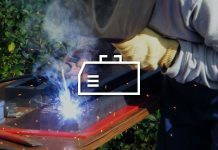 So when it comes down to it, the main factor that’s going to determine whether you should buy a gas chipper or electric chipper is how much power you need. 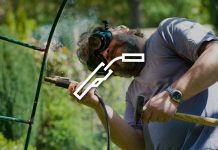 For example, if you have a lot of trees in your yard and are breaking down large branches on a regular basis, then you’re going to need a gas chipper. 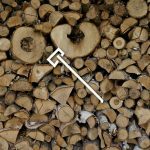 The reason is that these products are just more powerful and faster at breaking down wood. However, if you find yourself generally breaking down smaller branches, sticks, etc., then the best wood chipper is an electric machine, since these machines are generally more convenient, easier to move around, and smaller (perfect for storage). When it comes down to it, you’ll have to consider the kind of job and material you handle to determine the best wood chipper for you. 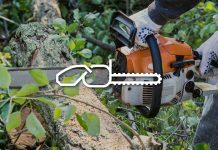 Typically, if you have a lot of branches that fall in your yard, you'll want a more heavy-duty gas-powered machine. 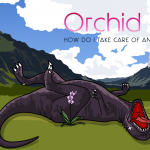 It will also depend on the kind of trees you have in your yard. 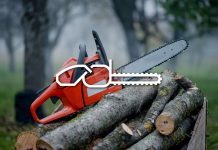 Bigger trees with thicker branches, like yew, oak, and even olive trees will mean that you need a gas powered chipper that can break down limbs 3 inches or more in diameter. On the other hand, if you have smaller trees in your yard, which typically produce branches that are 1 inch or less and also generate a lot of things like sticks, you’ll prefer a smaller, more convenient machine. 1. Sharpen regularly. Wood is a pretty tough material, and it can wreak some havoc on the blades in your wood chipper’s flywheel. As blades become dull, the wood chips will actually grow larger. Sharper your blades using a whetstone. 2. Inspect debris. If wood is hard on knives, stones are even worse. 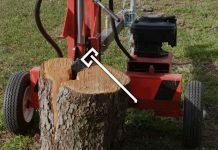 Make sure you inspect the branches you're placing into the chipper before running it into the machine, as large stones or other tough materials can damage the knives. 3. Position the machine away from the wind. The dust that is produced by a wood chipper can actually do some damage to the engine, so always place the machine in a direction that blows the dust away from the engine. 1. 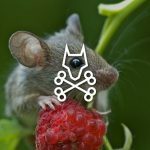 Wear the right gear. Flying wood can hurt, and it can cause a lot of damage to your eyes and even irritate your skin. The solution? 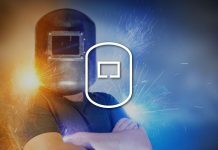 Wear tight fitting clothes, face/ eye protection, and ear protection as well. 2. Let go of branches. It might not seem like it, but a wood chipper is actually pretty powerful, and it can drag you in if you’re not careful. That’s why you need to let go of the branch shortly after feeding it into the machine. Don’t worry; the chipper will do the rest. 3. Clean up the area around machine. You don’t want anyone tripping or falling around this kind of a machine, as they can get seriously hurt. Remove any debris or objects that can cause someone to slip. 4. Position the machine tactically. Flying woodchips can seriously injury someone and can even damage property if you’re not careful. Position the machine away from any property (like windows) and make sure that no one is crossing paths with the chute. Keeping your wood chipper in working order is all about staying on top of the basics. This means cleaning the chute and hopper after each use with a wet cloth, removing any debris before and after using your machine and regularly changing the oil (for gas machines). You also want to take note of any smaller problems and get those taken care of before they turn into big problems. For example, if you notice that the machine is struggling to spit out woodchips, this might mean that it’s clogged. Finally, make sure you keep the blades sharp and replace any damaged or broken knives. When it comes down to it, a wood chipper can be an incredibly useful tool—especially if you love to garden and have plenty of trees. For pro gardeners, you can’t go wrong with a chipper. They’re generally less expensive than buying five-pound bag after five-pound bag of mulch. They also make getting rid of branches, leaves, twigs, and sticks a breeze. Of course, at the end of the day, the choice is yours. But why not save yourself the time, money, and energy by buying a wood chipper? It’s a purchase that you’ll be proud you made.